So how do you plan to celebrate fifty years of Doctor Who? Will you tune in for the 50th anniversary episode? Listen to a couple of the 50th anniversary themed audio dramas from Big Finish? Or maybe you’ll read a tie-in novel or two or finally watch some classic Who on DVD? 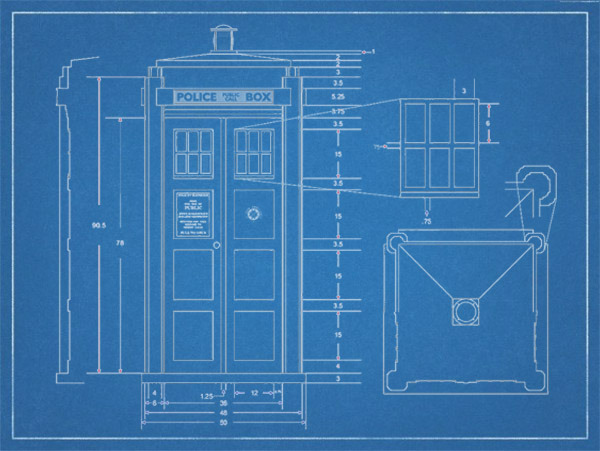 Those are all good ideas, but a set of intrepid fans want to celebrate the big anniversary in an entirely different way — by launching a replica of the TARDIS into outer space. Using Kickstarter, a group of fans has built a replica TARDIS and is hoping to raise $33,000 to put the replica into Earth’s orbit. The group has a couple of levels of support that fans can consider. For a dollar, you get the pride of knowing you helped launch the TARDIS into orbit. For $15, you can get your name put on a hard drive going into orbit. For a bit more, you can get a Tweet and your name on the hard drive. For $45 you get the Tweet, your name and a t-shirt. The group says that orbital TARDIS will be one of several items in a rocket payload that is launched into outer space. 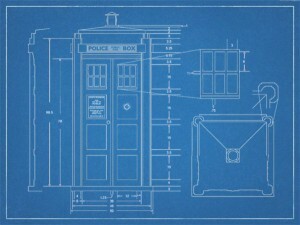 Should the group go beyond their goal of $33,000, they will put a larger TARDIS replica into orbit. If you want to help out, you can do so by clicking on the link above. Cuz what we totally need is more garbage floating around in orbit that the ISS can smack into. That is soooo freakin awesome!!! Huge DW fan. its all my friends and I talk about.